Editor’s note from Blomquist: This is the second part of a two-part series on how real estate investors are preparing for another potential downturn, or doomsday, in the housing market in the future. The first part establishes the shifting market sands that investors are experiencing in various markets across the country. Investors are keeping an eye on the real estate market and gauging their next move. How investors are reacting to the market varies by region. Home remodeling and construction could be areas of future investment. Mike Foley isn’t waiting for the writing on the wall to shift investing gears in this real estate cycle. With a new baby and a wedding right around the corner, the Long Beach, California-based real estate investor wants to avoid making the same mistakes he admits to making during the heady days of the last real estate boom. Read the full July RealtyTrac Housing News Report — exclusively for Inman Select members. “You’ve got to be smarter the second time around,” said Foley, CEO of The Foley Group, who has been a full-time real estate investor since 1999 but said he was caught when the market crashed back in 2008. “2005, ’06 and ’07, I was doing development projects out in the Inland Empire, and those take three or four years to get through the city, to get built. And during that period of time the market went from red-hot to cold as ice. Those projects went from half a million dollars down to $200,000 in just a matter of six months. “To get ready in case we have another downturn, the first thing I’m doing is not being as aggressive in investing as I was before,” Foley added. Read more about Foley’s real estate doomsday prepping strategies. Even with the red flags of a European economic crisis, international investor-inflated home prices, imminently rising interest rates and stagnant incomes all rising further up the flagpole of the U.S. real housing market, there are still opportunities for investors aside from just completely exiting the housing market, according to Foley and other veteran real estate investors. The Midwest is still ripe for rental property cash flow, according to Jason Medley, a Tampa-based investor who also runs a “mastermind” of high-powered investors from across the country called The Collective Genius. “The Rust Belt, the Midwest, is a hot spot for cash flow. Indianapolis, Memphis, Birmingham. That Midwest corridor is where a lot of people are going for cash flow,” said Medley. 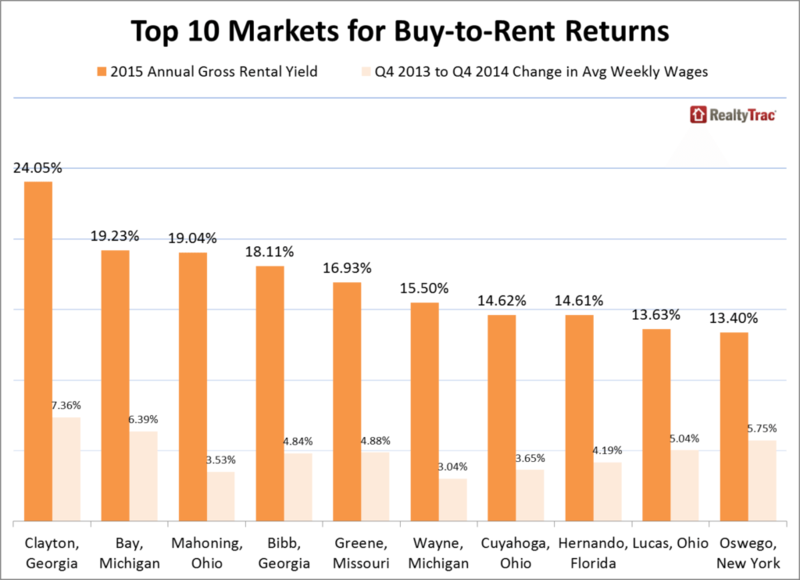 How investors are tapping demand for turnkey rentals in the Midwest. The best opportunities for investing in the Midwest revolve around cash flow, according to Michael Mahon, president at HER Realtors, covering the Cincinnati, Dayton and Columbus markets in Ohio, who said that the slow and steady home price appreciation in Ohio combined with solid job growth and the corresponding population increases will create more demand for housing. The best opportunities for investing in the Midwest revolve around cash flow. “This growing demand will require housing, and (Ohio) will likely continue to be a favorite for investors looking for lower-risk, ‘buy, hold, rent’ strategies of growing rates of return for their portfolios,” he said. Bruce Norris, founder of The Norris Group, a Southern California company that invests in real estate and also trains and lends money to real estate investors, also believes demand for homeownership will eventually increase as millennials and so-called boomerang buyers finally convert from renters to homebuyers likely sometime in the next 10 years. Matthew Gardner, chief economist for Windermere Real Estate in the Seattle market, expects a similar trend to emerge there in the coming years. Strategies to target emerging buyers. The big buy-to-rent operators are backing down on their acquisition of homes in South Florida as prices rise, according to Mike Pappas, CEO and president of the The Keyes Company real estate brokerage covering that market. Lin He, a Southern California investor who operates Rellion Inc, sees home remodel and construction business as a growing market going forward. “If I can make $50,000 in three to four months to run a project, then move on to another project without waiting, hoping, wishing, praying for a buyer to show up, without a hard money loan on my back, why not?” he said. Leland DiMeco, owner and principal broker at Boston Green Realty, has not turned his full focus to the construction-remodel business, but he recognizes it as an in-demand business. “I’m not a big player in the construction community, and I’m getting a lot of serious opportunities coming my way,” he said, noting that he has one big construction project on the horizon: a 44-unit, five story “green” apartment building that he said will be only the third “passive house certified apartment building” in the country. More real estate doomsday prepping strategies. Are sellers seeing bigger returns this year -- finally?